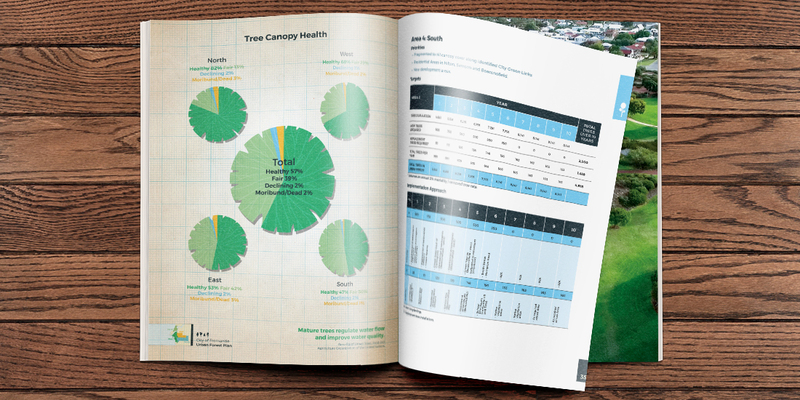 The City of Fremantle tasked Ecoscape, in partnership with TPG to research and produce a visually compelling, thorough and informative Urban Forest Plan publication as part of their Green Strategy 2020. A key project arising from the City of Fremantle’s Green Strategy 2020 was to prepare and implement an Urban Forest Plan (UFP). It was intended that the UFP will build on the principles and objectives of the Green Plan 2020 and develop further detail to identify and implement the most effective way for the City to achieve its canopy cover target and to effectively manage and develop trees over the public and private realm. 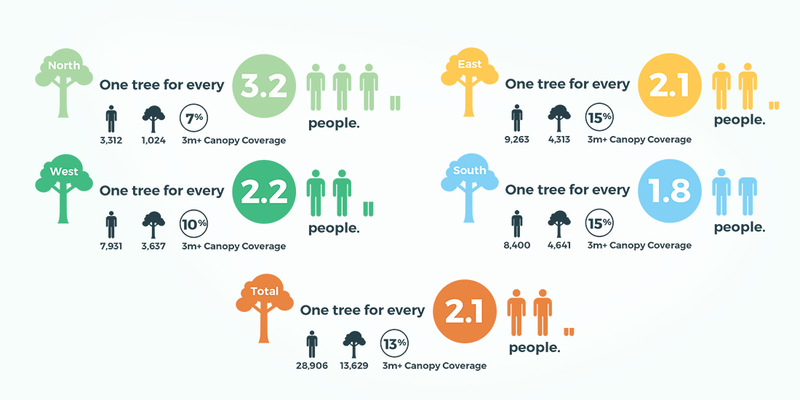 The UFP provides a framework for substantiating landscaping and tree planting priorities as well as establishing a planting staging plan that identifies species of trees including indicative per tree cost to install and maintain for budgeting purposes. 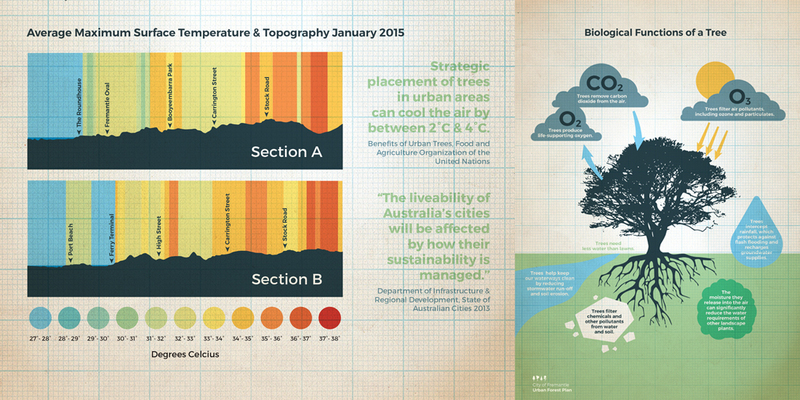 The City of Fremantle set out to determine the benefits of a thriving urban forest, and address a number of key focus areas in the Green Strategy 2020 such as increasing the City’s canopy cover, improving urban amenity and helping to ameliorate the Urban Heat Island Effect (UHIE). 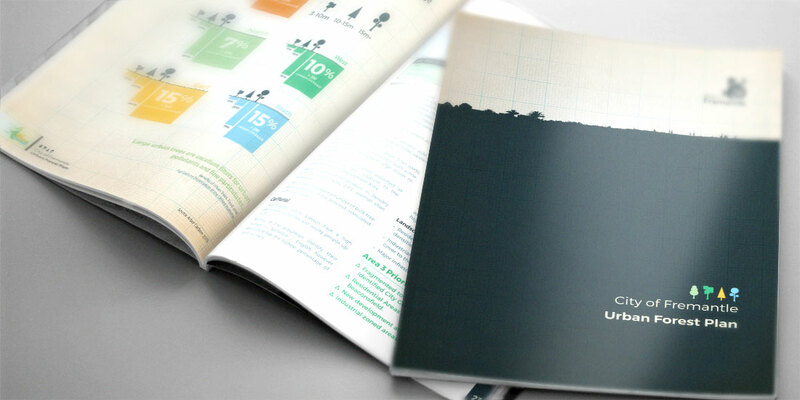 In collaboration with TPG, Ecoscape utilised its spatial analysis expertise, along with both landscape architecture and environmental science knowledge to research, map and analyse various aspects of Fremantle’s ‘urban forest’ in order to address several imperatives outlined in the City of Fremantle Green Strategy 2020. 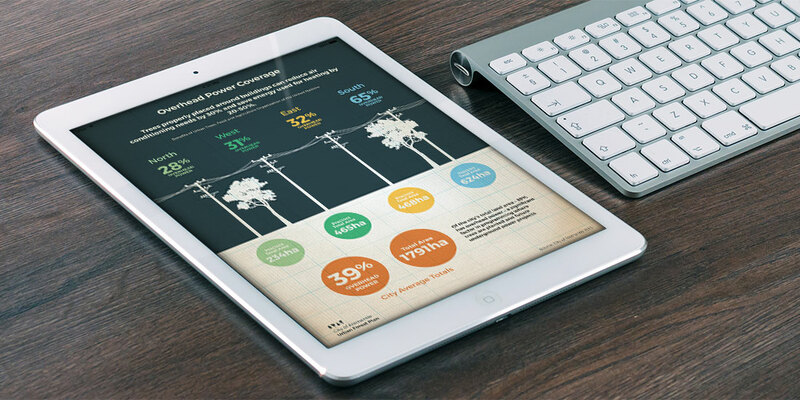 Ecoscape interpreted the data and created a suite of visually appealing infographics to better communicate the information to the public. 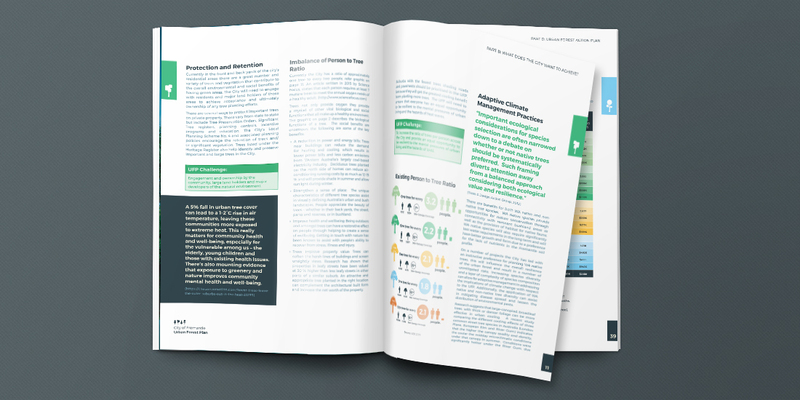 Graphic design services were also executed to a high standard to create a well rounded, informative and easy to interpret publication that can now be distributed digitally and physically to better inform the public on these various topics. The result has been well received by the staff at the City of Fremantle and is now available on their website for download.